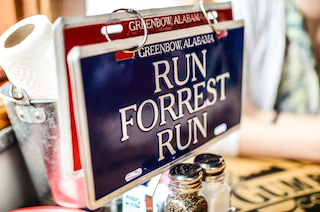 Many people have seen the movie Forrest Gump several times. Most can agree the main character, Forrest, isn’t the most intelligent. However, he isn’t afraid to do what is called upon him and is driven by his beliefs. That said, I’ve often told people in challenging situations to try and take on the Forrest Gump attitude. It being an older movie, I remind them of how Forrest perseveres ahead and does the best thing he can despite the fact that those around him seem to have little faith in him or the situation they’re currently in. The weird part about that fictional movie is that the moral of the story is usually true. Many times in real life things work out better than you could ever imagine if you just put your best foot forward. I remind myself that in the publishing business, it’s not uncommon to submit your book one to four hundred times before someone agrees to represent it. So far, I’ve submitted my book over thirty times to agents. I realize to get any feed back is a rare and positive thing. I’ve had a couple of impersonal rejections (Dear Author) and some that say they’re simply not interested. Some rejections I’ve received are very positive, saying that they’re not interested but keep querying because another agent will take it. One agent (My dream agent) thought it was a good story but didn’t think a seventies romance was salable. She went so far as to challenge me to keep on querying and prove her wrong. I think about Forrest Gump and push on!